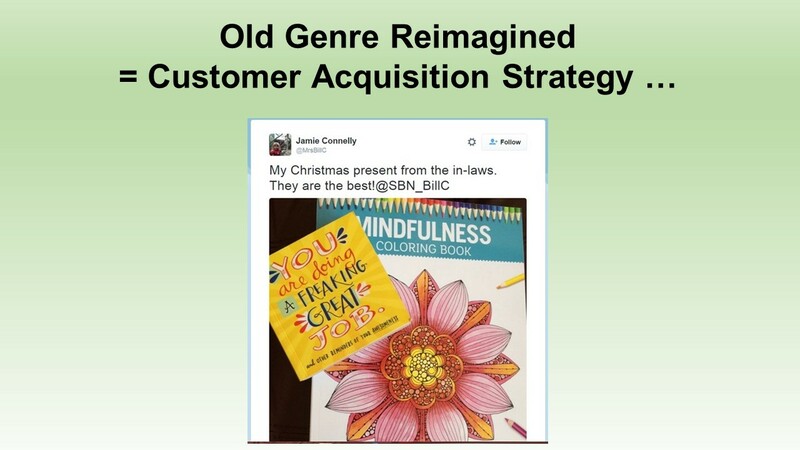 In my customer acquisition draft (click here), I created this slide ... about coloring books. Yup ... physical book sales actually increased in 2015, and coloring books were a huge reason why. It's not so much that physical books are making a comeback as that a genre was re-imagined. All of us manage businesses where we could re-imagine something old in a new way. We simply choose not to. I know, I know. Your business is unique, it is different, you've tried stuff that didn't work, you have to make your quarterly numbers. You just haven't hit upon the right idea yet, and you won't hit upon the right idea if you keep telling everybody who has an idea that the idea won't work. Customer Acquisition is the biggest issue for businesses in 2016. It's January 2000. I was invited to a meeting about the future of the catalog business at Eddie Bauer / Spiegel / Newport News. Lot's of VPs. VPs from Spiegel, our parent company. I was a Director at the time ... the worst job title in corporate America. 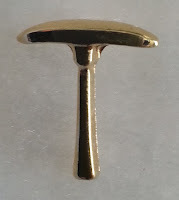 Trapped below a Vice President and above a handful of Managers, the Director is frequently paralyzed ... no budget to make changes ... no authority to make changes ... required to sell Executive changes to Managers. Credibility is also a problem. If you are a 53 year old Director, you have experience. If you are a 35 year old Director, well, you don't have as much experience and you are not accountable when the business changes ... a group of VPs are accountable. So there I was, with my VP and his VP in the room, presenting to other VPs from other companies. I shared the slide above ... 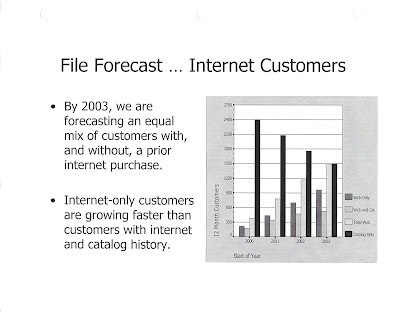 I predicted that by 2003, the online channel would surpass the "catalog" channel (i.e. phone) and at that point, the business would be fundamentally changed. I told the room that we had three years to craft a reasonable strategic direction. I also reminded the room that this change in customer behavior was unavoidable ... we were going to be swallowed up by the internet. It was at this point that the meeting turned ... it turned back toward the "catalog". What is the error rate associated with your forecast? Catalogs have been around forever, the internet is new and unpredictable. The only reason the internet looks good is because the catalog pushes all of the demand to the internet ... without the catalog, the internet is "dead". You don't have the business experience to understand that fads come and go. You are defining catalog and internet buyers wrong ... if you define them the way we'd define them, you'd learn that nothing is going to change. I specifically remember a handful of Spiegel executives who were laughing ... "this isn't the way the world works". As they laughed and found every possible reason why the slide was incorrect, I noticed that the room aligned with "the laughers". It's hard to blame folks for aligning with them ... they're the ones paying the bills. Four weeks later, I resigned. Three years later, at the time when I forecast the catalog/online trajectory to switch, Spiegel filed for Chapter Eleven protection. In 2012, Wikipedia tells us that Spiegel, after being sold several times, elected to focus on "digital media". A similar transition is happening, right now, in e-commerce. E-commerce is going to be swallowed-up by mobile. It's unavoidable. 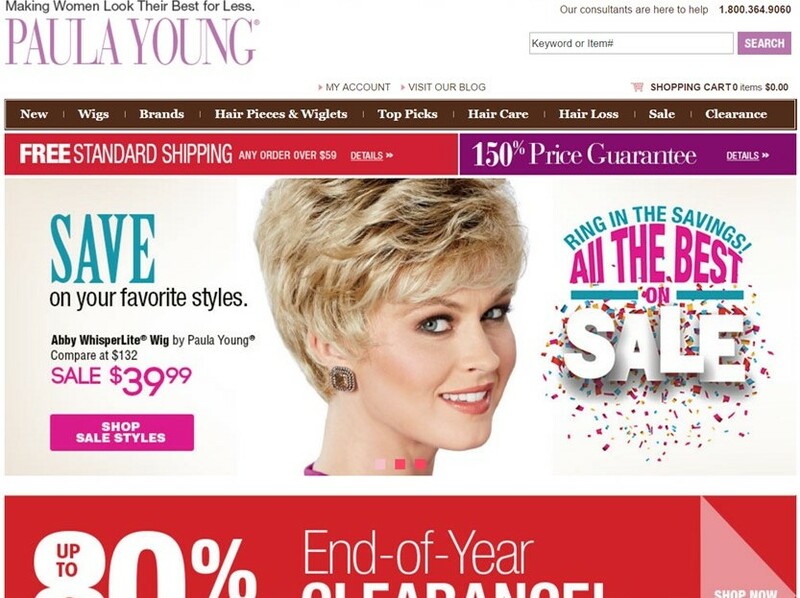 Now, if your customer is 63 years old, then no, e-commerce isn't going to be swallowed up. But if your customer is 36 years old, then yes, your e-commerce division is already being swallowed up. You can't get away from this dynamic. I analyze businesses where the dynamic is self-evident. The signatures of the catalog-to-e-commerce transition are similar. Today, you might be the Executive. You might have a Director, in her mid-30s, and she is trying to tell you what is coming. You don't like what's coming, do you? You built an entire career on how e-commerce functions, and now the rules are changing. That hot-shot Director in her mid-30s has ideas for what you need to do in the future. Those ideas are contrary to your instincts. Say you disagree. That's the likely scenario - read anything out there, and folks will tell you that mobile is an extension of e-commerce and they'll tell you that mobile isn't going to swallow up your business (and it won't if your customer is 63 years old, you have a different set of challenges). If you disagree, is it necessary to badger the young professional in her mid-30s, a person who sees the world different than you see it? Is it necessary to question each assumption she made? Is it necessary to badger her publicly in meetings? Or is it necessary to give her and her hypothesis a chance? Is it possible that she is right? Is it possible to follow her ideas and protect her when her ideas don't initially work out so well? The next five years are going to be really interesting in e-commerce and retail. The catalog-to-e-commerce transition is coming to e-commerce via mobile. We get to decide if we embrace the transition, or if we will fight it in the same way Spiegel fought it sixteen years ago. 65% of you subscribe via RSS, with about 35% subscribing via email. For the RSS audience, I'd like to recommend subscribing via email. I removed all ads from my email subscriptions, and posts are emailed to you at about 7:40am Paris Time / 1:40am EST / 10:40am PST. If you subscribe via RSS, why not give email a try? Visit my home page, head down the right-hand side of the page, and enter your email address (click here). So you are saying you are different ... you are unique ... you are special ... you cater to a different customer ... a customer who could care less about Instagram. You don't have time to be a Brand Response Marketer ... you have to get a customer to purchase today to make your quarterly numbers. You need a different set of answers, and preferably, you want me to give you the answers for free. You deserve free advice that enables you to earn your salary. 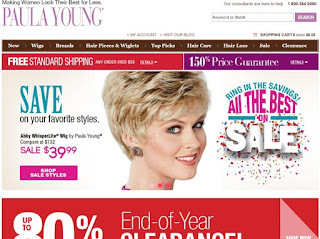 Take a look at the Paula Young home page (I know, I know, fewer than half your customers arrive at your home page ... do you want me to dump 12,000 Paula Young landing page images in this post?). This is an example of Direct Response Marketing. Every message is designed to get a purchase TODAY. 80% off clearance. SAVE on your favorite styles. SALE items. The best merchandise is on SALE. FREE standard shipping. 150% price guarantee. When you don't have a low cost customer acquisition program in place and/or a Brand Response Marketing Team, you are forced into a corner. Your merchandise must stand out from the competition and be fundamentally better than the competition. And/Or your pricing has to be better than everybody else. And/Or your promotions have to be better than everybody else. And/Or you have to pay a gate keeper (Google, Co-Ops, Facebook, Retargeters) for access to customers. And/Or you must stay one step ahead of every competitor who copies what you do within twenty-four hours. Since (1) (2) (3) (4) (5) are so difficult to do on a consistent basis, and since your customer isn't going to respond the way a customer < age 50 responds, you have no choice but to do something else. Tell me what your online conversion rate is? We know it is probably well under ten percent. This means you have an opportunity to leverage Brand Response Marketing Techniques (#BRMT) with the 90% of visitors who will not purchase. Some would call this "engagement". I don't. Engagement ends up being a lowest-common-denominator tactic to astroturf repeat visitation. The Brand Response Marketing Team leverages low-cost activities on your website to keep customers coming back. Like Crutchfield ... they utilize experts to overcome Instagram weakness ... with the end result (hopefully) being similar. Maybe this works, maybe this doesn't work. At least they have somebody who resembles a Brand Response Marketer who tries to leverage customer service as a Customer Acquisition strategy. If you are an older brand ... a catalog and/or direct mail brand in particular, you really need to think about using your website as Brand Response Marketing channel ... you capitalize on the million(s) of visitors you have each year who never convert in the short term. New Perk In The MineThatData Elite Program!! Seems like if you are paying $2,000 per run, you should get more than promised, don't you think? So, here's an additional perk ... you sign up (or are an existing member) for the program (remember, the cost goes up to $2,500 after February 1), and you get my phone number ... if you have a question anytime during your participation about anything, just give me a call, and I'll answer your questions. It's a mini-retainer, if you will! Now, I'm not going to run analyses against your data based on your phone calls - that's what my typical consulting structure is all about. But - if you have any random question that requires attention, your participation in the program allows you to call me and get the question answered. Tough to be that, for just $2,000 per run ... that's four months of access. Show me anybody else who does that for you. Email me right now and get on board prior to February 1 ... that way, you avoid the cost increase that happens on 2/1. Maybe you don't follow the happenings in the animal digital imaging landscape ... if so, you missed the announcement that Cute Overload shut down earlier this week (click here). I had a soft spot for Cute Overload ... they started their endeavor a few months before I fired up this blog. I watched them rocket into the stratosphere. I watched them plateau. I watched them achieve a soft landing earlier this week. Too much competition, too few ad dollars to pay enough to keep moving forward. Sound familiar? You have more competition. You have to deal with Amazon. And it's hard to get customers to spend more. That's why I will be focusing a lot of effort on Customer Acquisition activities. That's why I will be focusing a lot of effort on Merchandise Productivity. That's why, for catalogers, I crafted the Catalog Thesis. I have to change my content, in an effort to help you. It makes no sense to talk about fairy tales that do not help your business move into the future. Ultimately, we all have to evolve and change. We don't want to end up like Cute Overload, do we? Take a moment, and think about what you are going to do different in 2016. 10 Days Until The Next Run Of The MineThatData Elite Program!! There are two huge reasons why you participate in the MineThatData Elite Program. 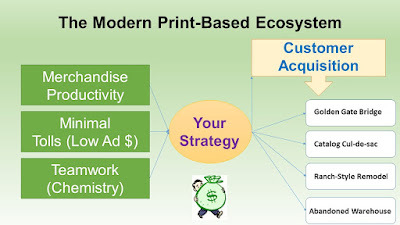 You learn what your merchandise productivity is, and how it compared to other companies. You learn how new + reactivated customer counts changed during Christmas ... and you get to see how your data compares to other companies. You've heard that some companies had a soft early Christmas season, then poured it on as Christmas approached. You've heard that some companies suffered the whole season. You heard that Amazon approached 40% of all e-commerce at times during the Christmas season. In other words, you've heard a lot of rumors. By participating in the MineThatData Elite Program, you get to see what the truth is among participating members. Contact me now (kevinh@minethatdata.com) to join at the $2,000 per run level ... remember, prices increase to $2,500 on February 1. Join Me In New Hampshire In March! Over the past two months, those of you in the catalog community participated in the development of an overall thesis. You've read a draft presentation of a customer acquisition thesis more than eleven thousand times (click here). You've been actively engaged in a thesis outlining the future of catalog marketing ... reading voraciously while many other retail / e-commerce followers unsubscribe. 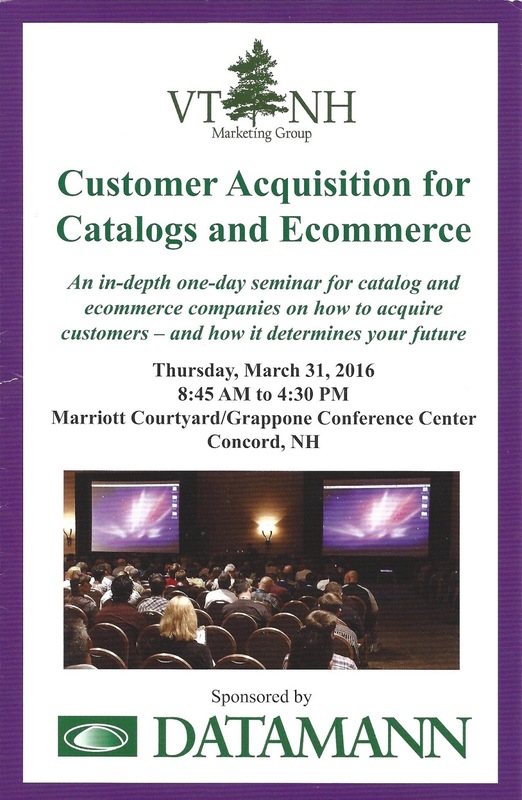 It was a lot of free information ... information that will grow your business ... and if you are a vendor supporting catalogers, the thesis will grow your business, too. Now it's time for you to spend a little bit of money. On March 31, I'll join Bill LaPierre and Amy Africa for a day of discussion about Customer Acquisition. You will pay a nominal fee to join us ... enjoying Spring weather and interactive discussion in the process. What would stop you from being there? When the day is over, you are going to have a list of opportunities long enough to take back to work and keep you busy for a year! You can share your thoughts with professionals at similar organizations ... comparing notes. Best of all ... nobody is going to be selling you anything. Nobody. I keep hearing that your biggest pet peeve with industry conferences is rampant selling ... well, if you feel that way, why not do something about it? Why not support an event aligned with your interests? Click here to learn more, and to register. Let's sell the place out!! Vendors - You Are Needed! Ok, I've given my client base and readership of over 2,500 subscribers a lot to think about. There's room for everybody in the Catalog Thesis. If you are a paper rep or a printer, you are encouraging your customers to go for a Ranch-Style Remodel. You want to see personalized merchandise assortments and varied page counts - you can work magic with that element of the thesis. If you are a boutique catalog vendor, you have a veritable plethora of choices ... you can help your clients cross the Golden Gate Bridge ... you can demand that they stay in the Catalog Cul-de-sac and help them increase Merchandise Productivity ... or you can provide Weighted Product Preferences that help clients optimize within the Ranch-Style Remodel framework. What's not to like there? A catalog database provider? The Ranch-Style Remodel is "Big Data" heaven!! One of the four major co-ops? How about overlaying your data on top of the Weighted Product Preferences, and driving improved productivity within the Ranch-Style Remodel? Do some optimization work with a Personalized Merchandise Assortment. Partner with printers to do something interesting. Are you a list organization? Why not map out what the new contact strategy has to look like to facilitate a Ranch-Style Remodel ... a contact strategy that capitalizes on Customer Acquisition? Are you a vendor who likes things just the way they are? Push your client base toward the Catalog Cul-de-sac, and find merchandising solutions that grow productivity. There's a big sandbox here for my catalog client base ... so much fun to be had. So much fun. So what is stopping you from taking advantage of this framework, of this thesis? You'll have to click on the image here to see it ... lots of data there. Here's an example ... this company has thirteen Merchandise Categories. 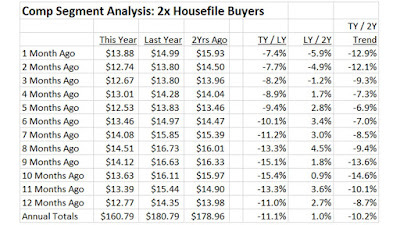 In this table, we evaluate customers with three life-to-date purchases and at least one purchase in the past year. 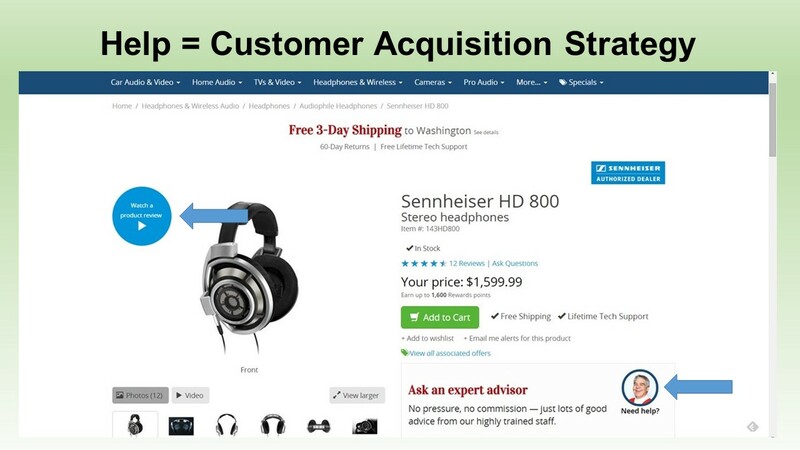 We assign Weighted Product Preferences to each customer, based on historical behavior. Then, we measure where customers spent money in the next twelve months. 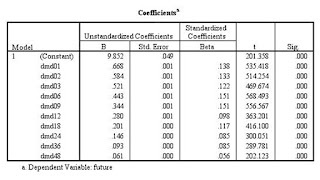 This portion of the table is for customers who have a primary weighted product preference of category 01. The next column lists the secondary weighted product preference category. Obviously, the biggest cell count happens in 1/99 ... these are customers who only purchase from category 01. Read across the columns ... the columns represent how much customers spent in each product category in the next year. Read across the 1/7 row ... these customers like product category 01 most, then product category 07. Which product categories, in the next year, have a value above $8.00? For customers who like category 01 most and category 07 second most, the five categories that warrant subsequent marketing activity are categories 01 / 02 / 05 / 07 / 12. That's where you focus your personalized merchandise assortment ... on those five categories. Those five categories generate more than 80% of future spend. That's how you use Weighted Product Preferences to determine a Personalized Merchandise Assortment. This stuff doesn't have to be complicated. Just do something!! That's a satisfying cup of supplemental nacho cheese. When a customer purchases something at Taco Bell, the customer often purchases multiple items. Nachos and a Chalupa. A MexiMelt and a Taco. 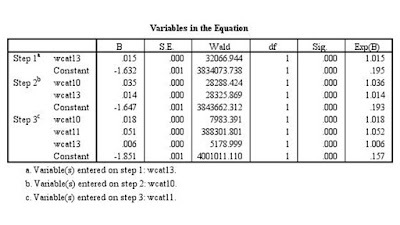 From a targeting standpoint, you weight your historical transactions ... and then you create what I call "Weighted Preference Pairs", or "WPP" for short. 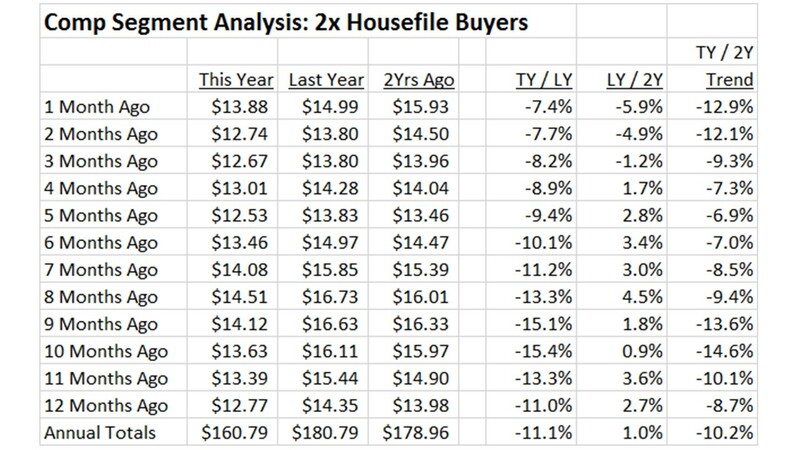 You discount dollars spent on older transactions (i.e. 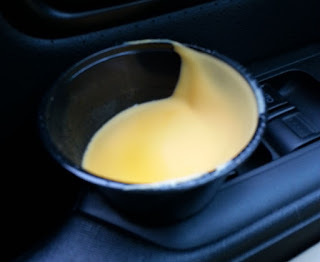 spending $0.50 on extra nacho cheese two years ago means that, in today's terms, you spent $0.10). Then, you sum up all weighted historical dollars, and segment your customer base via primary merchandise preference and secondary merchandise preference. In the future, the "Chalupas" / "Burrito" customer will behave different than the "Burrito" / "Taco" customer. In my work, I create the Weighted Preference Pairs twelve-months back. 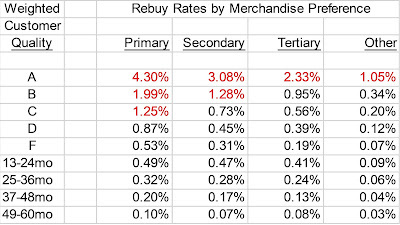 Then, I measure how each Weighted Preference Pair responded to each merchandise category in the next year. 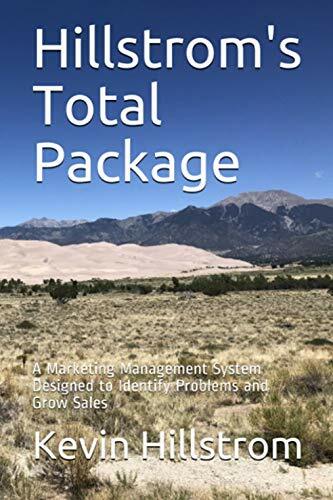 This allows me to understand the customers who are aligned with each product category, so that your marketing efforts are appropriately merchandised. Weighted Preference Pairs. It's such an easy analysis, and it's powerful. That's a good combo, don't you think?! More on this topic tomorrow. Remember, the MineThatData Elite program is a once-ever-four-months evaluation of how your business stacks up against other member participants (e-commerce + call center). The next run happens at the end of January. Three years of purchase history are sent (February 1, 2013 - January 31, 2016). With the data, I analyze two important pieces of information. Merchandise Productivity for October, November, December, January. New + Reactivated Customer gains/losses for October, November, December, January. 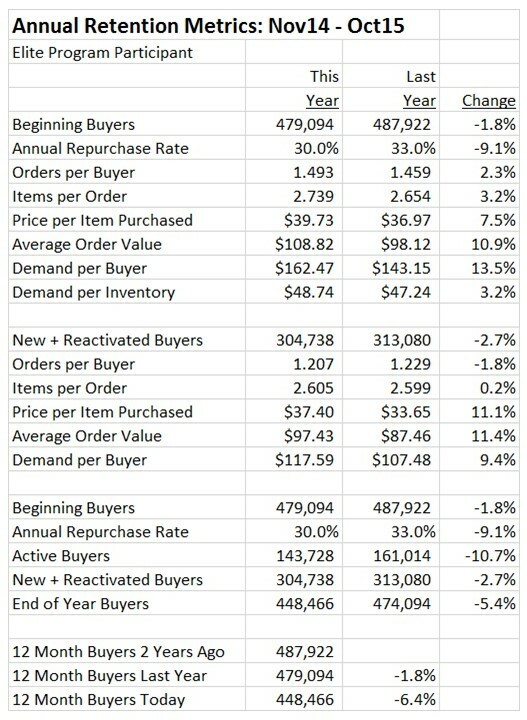 Then, I use an averaging technique (average of averages + demand-weighted averages) / 2 to determine program participant Merchandise Productivity and New + Reactivated Customer gains/losses. If I see something in the data (i.e. changes in Black Friday - Cyber Monday behavior), I happily analyze the information and share what I find. I also produce additional tables ... if you do not have simple file reporting like the table illustrated above, you'll get that information as part of the program. Current members are Grandfathered in at their entry price. New members are in at a cost of $2,000 per run. Prices go up to $2,500 per run on February 1. What would stop you from benchmarking how you performed against other Elite Member Participants? I will invoice you for membership costs, which are due prior to the analysis timeframe. Three years of data, February 1, 2013 to January 31, 2016, are due to me on February 15. I provide your analysis on or before February 28. Ok, we've spent nearly three weeks talking about what a modern catalog marketer needs to do in 2016 and beyond. If I were working at Eddie Bauer or Lands' End or Nordstrom, way back in the day, I'd create the classic Powerpoint Deck, and I'd prepare a series of presentation modules to discuss each aspect of the overall strategy. Merchandise Productivity: For most of us, Merchandise Productivity is flat. And that's a problem, because without merchandise productivity, it it terribly hard to grow. It becomes harder to acquire new customers. It becomes necessary to discount even more, or to offer free shipping all the time ... and both tactics hurt the profit and loss statement. I'd start my presentation by demonstrating what Merchandise Productivity looked like over time. If it isn't growing, then the rest of what I am about to say is magnified. Tolls: When Merchandise Productivity is flat or in decline, tolls crush the profit and loss statement. Facebook wants you to pay tolls. Google wants you to pay tolls. The co-ops want you to pay tolls. Your paper rep wants you to pay tolls. Your printer wants you to pay tolls. The USPS wants you to pay tolls. Your remarketing vendor wants you to pay tolls. Your affiliate partner wants you to pay tolls. Get the picture? Look at the tolls you've paid over the past five years, and plot the tolls against merchandise productivity. If tolls are going up, and productivity is going down, your business is going down!! Teamwork (Chemistry): A big deal. Take a look at this picture. What is your employee development strategy for this team? Do you share profit and loss data with this team? You should! Do you share company goals and objectives with the team? You should! Do you give a 15% annual salary bonus to this team if you achieve your profit and loss objectives? You should! Do you give actual, true business responsibility to your younger employees, or do you tell your younger employees to earn their stripes over the course of 10-20 years before they are given responsibility? Often, team chemistry is awful when merchandise productivity is awful. They go hand-in-hand. Find ways to celebrate wins. Trust your younger employees. Mentor them. Give them something meaningful to do. Customer Acquisition: The biggest of deals. Most companies struggle to grow merchandise productivity, putting a tremendous amount of pressure on customer acquisition to fuel growth. And with tolls constantly rising, your number one objective as a company should be to be the best in the industry at acquiring new customers at the lowest possible cost. You should have a program in place to constantly diversify your customer acquisition portfolio. Do you have a program in place find new customers at the lowest possible cost (or for free)? Again, this should be your number one priority. Number one. Ok, you've assessed your Merchandise Productivity. You know what path Tolls are on. You know whether you have a good work environment for your younger employees or not. And you know if your customer acquisition program is lacking or if you are actively finding sources of low cost (or free) new customers. This information should influence the path you, the catalog brand, plan to take. Golden Gate Bridge: This is the catalog brand with a customer base < 50 years old who is actively crossing the bridge to e-commerce. This business sees the writing on the wall ... they know that the co-op customer acquisition model is unsustainable and they are crafting low-cost Customer Acquisition strategies that find 35-50 year old customers online or via mobile. More than half of their demand comes in via online marketing strategies. Catalog Cul-de-sac: For the cataloger who wants to keep doing everything the same way, while capitalizing on a 50-70 year old customer audience, there is only one proven path to success ... Merchandise Productivity. There will be winners, no doubt about it. The losers, and there will be many are going to be a surely, ornery bunch! The winners will sell great merchandise that causes a customer to exit the information superhighway and drive into the Catalog Cul-de-sac. Ranch-Style Remodel: The shift from catalogs to online is long over. What's left is the "Magic 8,000,000" catalog buyers. Among this audience, the life of a catalog is shrinking, and that "shrinkage" is causing catalogs to be less productive among the co-op audience catalogers crave. The only way to fight this is to "remodel" the catalog business ... catalogs will get smaller, populated by only the best products that appeal to customers. The smaller catalogs will have greatly increase productivity, which means they can be mailed deeper to co-op names, obviously pleasing the co-ops (greatly). But eventually, a shortened life of a catalog will catch up to smaller catalogs, too, forcing catalogers to mail even smaller catalogs with a personalized merchandise assortment. 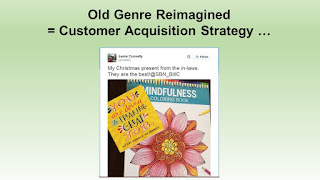 The catalog vendor community will adore this trend, offering myriad solutions to help the cataloger remodel the business. Abandoned Warehouse: This is the end game for those who fail to grow merchandise productivity within the Catalog Cul-de-sac or Ranch-Style Remodel. Eventually, failing catalogers will sell to Catalog Holding Companies (CHCs) ... large brands (think Potpourri Group without a soul) that gobble up distressed catalogers in an effort to maintain population of the "Magic 8,000,000". Catalog brands become glorified product categories designed to encourage customers to cross-shop other product categories. 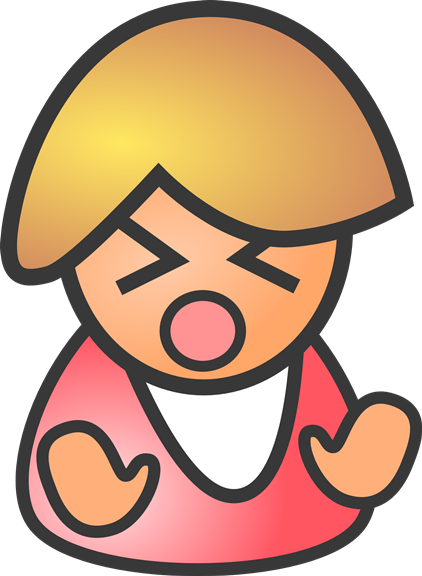 When an individual catalog brand is unable to generate profit, or is unable to sufficiently populate the "Magic 8,000,000", the catalog is shut down, and a newly distressed catalog brand is purchased. The CHC (there could be +/- 12 CHCs in time) will centralize all fixed cost centers in an effort to greatly reduce cost, and will bypass the co-ops via access to the "Magic 8,000,000". That's the story. That's how the pieces all fit together. Now it is up to all of us to do something. If we choose to not do anything, then we pin ourselves in the Catalog Cul-de-sac, a place where we must drive significant increases in merchandise productivity if we want to thrive. If you were President of Retail, describe the theme of your State of the Union Address. If you were President of E-Commerce, describe the theme of your State of the Union Address. If you were President of Mobile, describe the theme of your State of the Union Address. If you were President of the Catalog Industry, describe the theme of your State of the Union Address. Would you pander? Lie? Be fully honest and expect to be crucified for it? Would you give a glowing speech without actionable outcomes? Would you chart a path and then expect others to lead and be inevitably disappointed when nobody led the path you charted? Take five minutes ... start a sentence with "My Fellow Americans ...", write down your thoughts about the State of your Industry, and then write down your thoughts about how you would fix your industry. If you find this exercise difficult, that's good ... that gives you an opportunity to dig deeper into your industry to better understand what is actually happening. Here's how I approach a targeting variable. Essentially, I weight historical demand by coefficients. In this model, I measured 12-month future spend on the basis of demand spent in the following increments ... 0-1 month ago ... 1-2 months ago ... 2-3 months ago ... 4-6 months ago ... 7-9 months ago ... 10-12 months ago ... 13-18 months ago ... 19-24 months ago ... 25-36 months ago ... and 37-48 months ago. 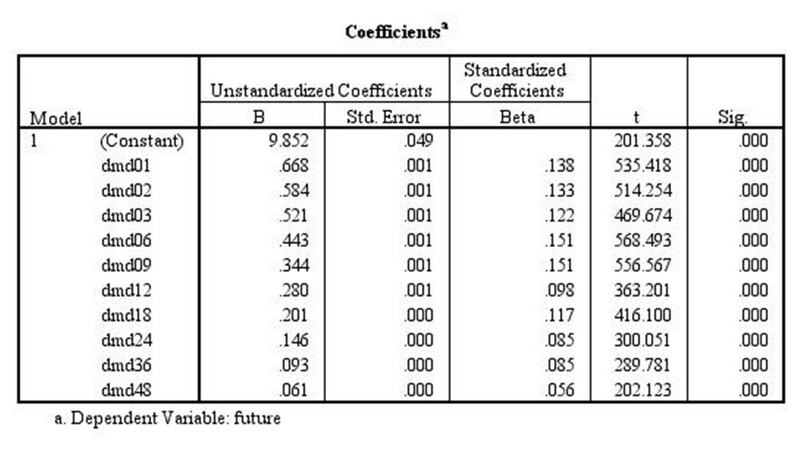 Look at the coefficients. One Month Demand = 0.668. Two Month Demand = 0.584. Three Month Demand = 0.521. 4-6 Month Demand = 0.443. 7-9 Month Demand = 0.344. 10-12 Month Demand = 0.280. 13-18 Month Demand = 0.201. 19-24 Month Demand = 0.146. 25-36 Month Demand = 0.093. 37-48 Month Demand = 0.061. Next, I divide each coefficient by the one month demand coefficient of 0.668. So, if I am scoring the file today, and a customer purchased from a product category three months ago, I weight each dollar by 78%. I do this for each targeting variable. I know, I know, statistical gurus are going to tell you the 1,493 reasons why this isn't an appropriate methodology. Too bad. Tomorrow, I will show you the targeting models, and then, I will describe how we use the targeting models in email marketing. How The Heck Do I Target Customers With Specific Merchandise Preferences? When it comes to targeting, there's a lot of people who are like this young lady here ... they'll tell you all the reasons why what I am about to suggest during the course of the following week won't work. Here is what I have learned. Your business is a big 'ole bubbling ecosystem. You just cannot see that it is a big 'ole bubbling ecosystem, because all of your reporting is designed to either measure a point-in-time conversion or a point-in-time response. You are measuring small stuff. Your ecosystem represents big stuff. If you asked the people at any large company, they'd tell you that when a customer purchases from one merchandise category, response in other merchandise categories improves. Way back in 1993 at Lands' End, we learned this ... we had what were called "product referrals" ... customers who purchased Home merchandise in one of our monthly catalogs. The minute the customer bought Home merchandise in a monthly catalog, the customer instantly became more productive in Home catalogs. The secret to success in the specialty catalogs was to plant great merchandise in a monthly catalog, causing customers to buy there, causing future response in specialty catalogs to improve. This is how targeted merchandise assortments work. You seed your ecosystem with top-selling items in various categories ... purchases of those top-selling items open doors into modest selling items and new items in various categories ... and purchases in those areas open doors into other merchandise categories. Starting tomorrow, I will talk about how I calibrate variables that allow a business to target customers based on various product category purchases. Time Is Fast Approaching: Run #2 Of The MineThatData Elite Program!! You read all about the Christmas shopping season, no doubt (click here). But ... was business actually up vs. last year, down vs. last year, or the same as last year? MineThatData Elite Members will know the answer, across brands who participate in the Elite Program. The second run of the MineThatData Elite Program is right around the corner. Join prior to February 1, and you will be locked-in at $2,000 per run (three runs per year). You'll learn how your comp segment performance varied vs. last year. You'll learn how you did across new + reactivated buyers. And you'll learn how other Elite Program members performed. Even better - you'll learn how participants stacked-up during the all-important Thanksgiving - Cyber Monday timeframe, during the run-up to Christmas, and in the post-Christmas sale period that your gift card shoppers took advantage of. You will be closer to the truth than those who do not participate in the program. Since the program is virtually free, why not participate?!! The price goes up to $2,500 after January 31. Prior participants are locked-in to the price they paid from the start. So join! What would stop you? And if you want something for free, take a peek at the evolution of my customer acquisition presentation. Merchant = "I have yet to see my products featured on the home page. What is up with that?" Marketer = "They've been appearing on various home pages for a month." Merchant = "But not my home page. Why?" Marketer = "Do you buy your own products?" Marketer = "Every customer sees a unique merchandise assortment based on prior purchase history, prior desktop/laptop visits, prior app visits, prior email clicks, social and data overlays, and predicted future preferences." Merchant = "Can we adjust the algorithm just a bit to give my merchandise more exposure"? Marketer = "Do you like earning less profit?" Marketer = "Then you already know the answer to your question." Yup, that happened ... in a meeting I recently sat in. This happened in a recent catalog meeting. Marketer = "As you know, we align email and online marketing and the home page and key landing pages and our catalog, so that we have a great customer experience." Merchant = "So I cannot get my products on the home page?" Marketer = "No, but we could get you a week sometime in Fall 2016. Why not attend the promotional calendar meeting and see if you can make magic happen?" E-commerce professionals have no problem personalizing the assortment. They don't think twice about it. They simply don't care. It doesn't matter that a customer won't see a product category. 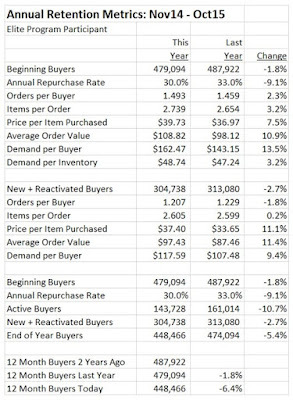 It doesn't matter that it becomes much harder to forecast demand at an item level. What matters is that the personalized merchandise assortment yields a 20% to 50% gain in productivity. That gain in productivity means that more money can be spent on online marketing, which means that more new customers are acquired. Catalogers have been trained to think opposite ... they align all channels, and in the process, sacrifice 20% to 50% of a typical online conversion rate, while slowing down progress to a crawl. It's hard to compete when you are planning a one-size-fits-all strategy for Fall 2016 when your e-commerce competition are planning to react to tomorrow morning's tests tomorrow afternoon. Are You Terrified By A Personalized Merchandise Assortment In A Catalog? Yup, you think to yourself, "well, that's too complicated and it's fine that we send a 128 page catalog and a remail of that catalog two weeks later and a second remail of that catalog two weeks after that ... so what that the strategy was conceived in 1989, that means we have ample history to develop an accurate forecast from. #tradition"
Don't you think your favorite email vendor (MailChimp is displayed above, you obviously have your favorite) would fall all over themselves to help you develop personalized merchandise campaigns, based on prior purchase history and website visitation activity? I promise you, your favorite email vendor hired a Data Scientist, or ten Data Scientists. They're just sitting there, CPU idle, waiting for somebody to give them a meaty challenge. These geniuses probably don't even find your challenge challenging. How's that for a sentence? Pick a campaign ... maybe an Easter campaign. Randomly split your email audience in half. Half #1 receives your typical campaign ... one version, 20% off or whatever, brand appropriate message ... guaranteed to generate $0.08 per delivery. Blah blah blah blah blah! Half #2 is split into ten different merchandise-centric treatments. Based on prior customer purchase history and visitation activity, the customer is assigned to one of ten different merchandise-centric treatments. 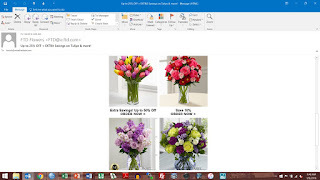 Your email vendor works with your creative team to conceptualize what the ten versions are. Your in-house analyst works with the Data Scientist at your favorite email vendor to align customers to one of the ten different versions, based on prior purchase history. Deliver the darn email versions! Ask for a promotion when sales come in +20% to your typical campaign. 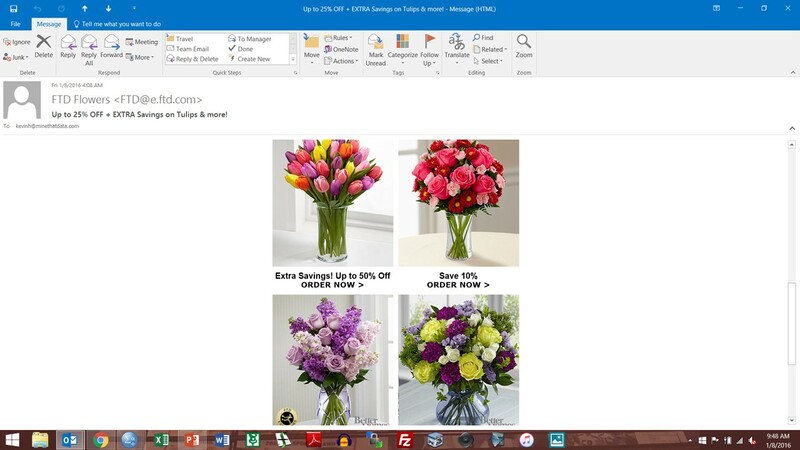 Use email marketing as a "proof of concept". 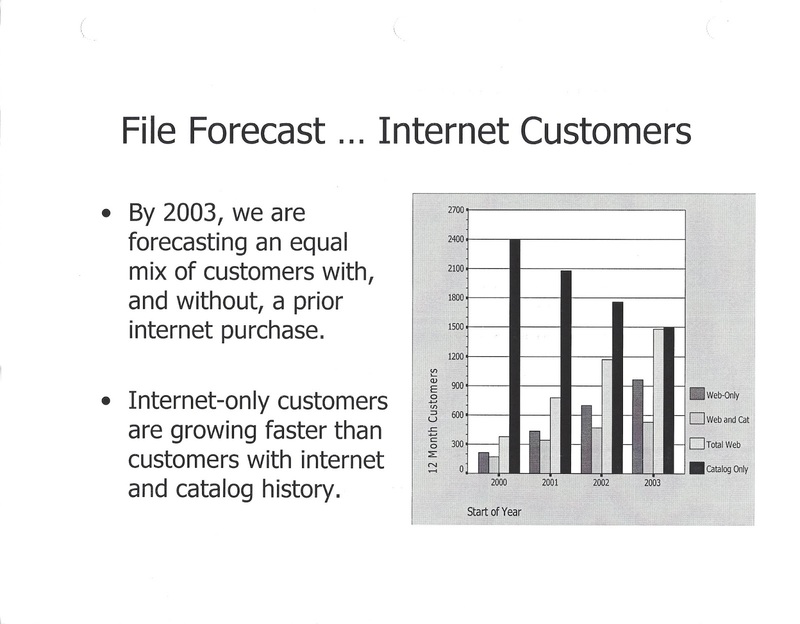 For crying out loud, my team at Nordstrom, in 2001 ... in 2001 mind you ... assigned customers to an online marketing strategy where 10 unique email creative/merchandising treatments were delivered in each campaign. In 2001. Bill Clinton was still President in January 2001. We easily popped a 20%+ lift in campaign performance by delivering targeted merchandising campaigns to each customer. By 2006, we were sending hundreds of unique campaigns to customers, versions tailored to customers with specific store employee preferences. In 2006. If we did this stuff 10-15 years ago, there is no excuse for not doing this stuff today. If the tactic works, and you get a 20% lift in email marketing performance, then there are two logical conclusions. You should be executing this type of strategy in every email campaign, not just one campaign near Easter. If the strategy works for email marketing, it is certainly worth testing in your catalog marketing program, right? Contact your favorite email vendor, right now.